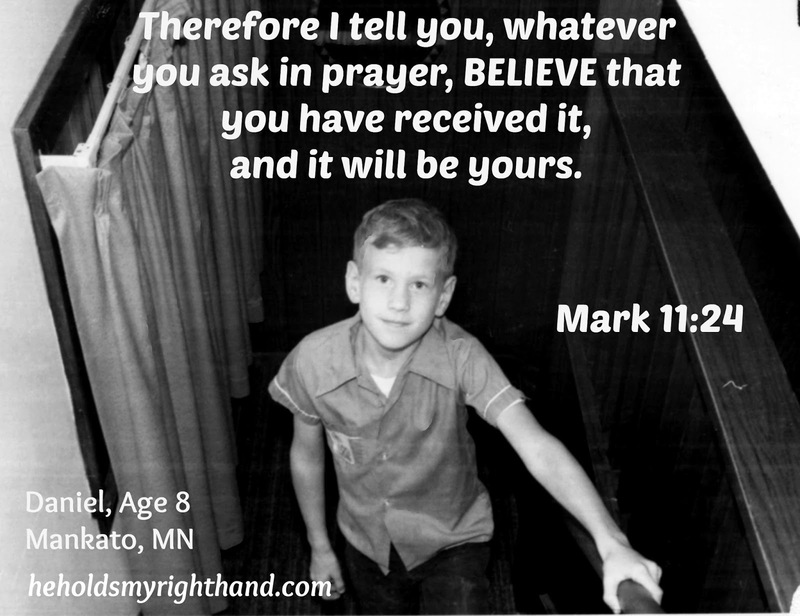 When I was a little girl, around the age of 5, my family lived in Mankato, MN, where my parents were serving with CEF (Child Evangelism Fellowship). They were doing deputation work (appointed to represent the ministries of CEF to others) and did not receive a regular paycheck. Their income was provided by the support of other Christians, and some weeks were financially leaner than others. One morning, during one of our leanest weeks, our cupboards were almost bare. All we had was three or four pieces of bread, some butter, some crackers, and maybe a little bit of milk. My brother, Daniel, had asked for cinnamon toast for breakfast. (He and I both loved it while growing up - it was a mixture of cinnamon and white sugar sprinkled over buttered toast). So, my mom toasted the last few pieces of bread and slathered some butter on them. One for Dan, one for me, and one for our sister, Judy. Mom told us to go down to the kitchen and each take one piece of toast. Dan was the first one down. With anticipation, he looked at the toast carefully to see which piece had the most cinnamon on it and, of course, he took that piece. He remembers it tasting great, just like cinnamon toast should taste. He wanted to tell Mom "thank you" for the delicious toast, so he went upstairs to find her. He heard her crying through her bedroom door, and, after knocking, was told by our dad to stay out; so he spoke through the door and said, “Mom, thanks for the cinnamon toast! It was delicious!” When Mom heard what he said, she was even more upset and cried harder. Dan did not understand what was going on. Later, our dad questioned him, asking him why he said that to mom. Dan didn’t understand his question at first, so Dad clarified, asking, “Why did you say thanks for the cinnamon toast? There wasn’t any cinnamon on it.” Apparently, we were out of cinnamon/sugar, so Mom had only buttered the toast; but, Dan had believed he was getting cinnamon toast for breakfast because that is what he had asked for. He sincerely told our Dad the toast looked and tasted like it had cinnamon on it. He was grateful for it, and wanted to thank Mom. To this day, Dan still says it was the best tasting cinnamon toast he has ever had. Some would say it was just his mind working overtime, allowing him to taste what he wanted to taste. 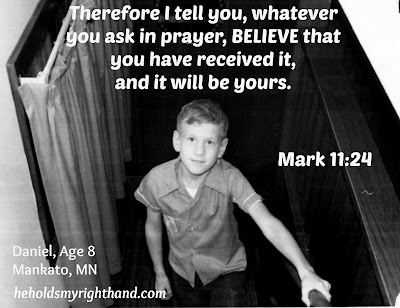 But, I have the belief it was a mighty God who, in his mysterious ways, somehow added the flavoring for a grateful child who believed. If only we could all believe in that same way.